You may recall we recently republished a Daily Telegraph article on the groundbreaking work of RAN Captain Mona Shindy in her role as Chief of Navy’s Strategic Adviser on Islamic Cultural Affairs. However this is but one of Capt. Shindy’s many achievements after 26 years of service in the ADF. Last year she was named as 2015 Telstra NSW Businesswoman of the Year. She was on active service during the 2003 Iraq War. She holds a Bachelor of Engineering degree and is Head of the Guided Missile Frigate System Program Office. In the 2015 Australia Day Honours she was awarded the Conspicuous Service Cross. The CSC is awarded only for outstanding devotion to duty, or outstanding achievement in the application of exceptional skills, judgment or dedication, in non-warlike situations. So it was with a good deal of concern that we read this report in today’s Guardian dealing with the sudden removal of the Navy’s Islamic Twitter account (@navyislamic). And how and why was the Twitter account removed? 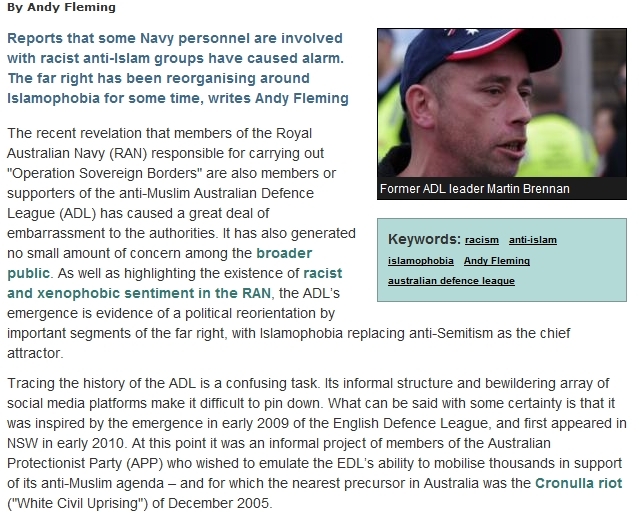 “The head of the ALA (Australian Liberty Alliance), Debbie Robinson, who has previously described Islam as “a dangerous ideology” incompatible with Western society, wrote to the chief of the Australian defence force, Air Chief Marshal Mark Binskin, on 10 December asking the navy to distance itself from the account or delete it. 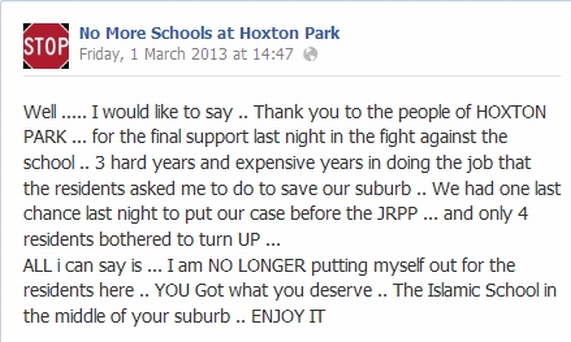 We have a number of posts detailing anti-Muslim extremist Debbie Robinson’s work. We also went through them and through the MSM carefully trying to find an achievement – any achievement – to mention. All we could find in the MSM was that she was married to an orthopaedic surgeon, a notion we find quaintly Mad Men in its 1950s aspirational tone. In its eternal hunt for candidates, One Nation certainly digs down the bottom of the dumpster. Here’s yet another one to join the departed and unlamented Stephanie Banister. 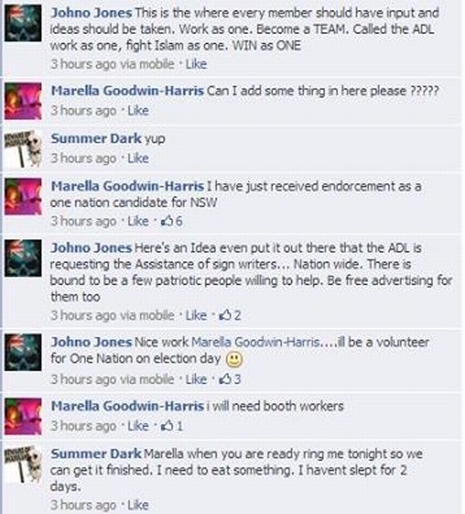 Marella Goodwin-Harris might even be marginally more intelligent, though an association with thuggish street gang the ADL does not help any perceptions of either intelligence or sound mental health. Here she is bubbling with excitement as she announces her “endorcement” (sic) as a One Nation candidate to a bunch of ADL desperates huddled in one of their noisome Facebook groups, as they explode in a frenzy about the potential for enlisting signwriters for the coming struggle against normal mainstream Australia. Marella is no newcomer to hate politics. 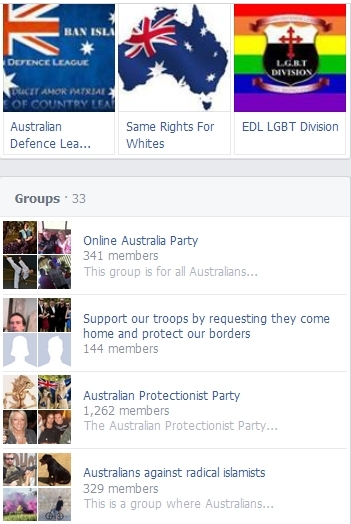 Here are some of the groups she “likes” on Facebook. We are still processing the notion of an EDL group for gender- diverse people. Sounds like these Fascist street thugs want to attract them over so they can more readily beat them up and harass them. 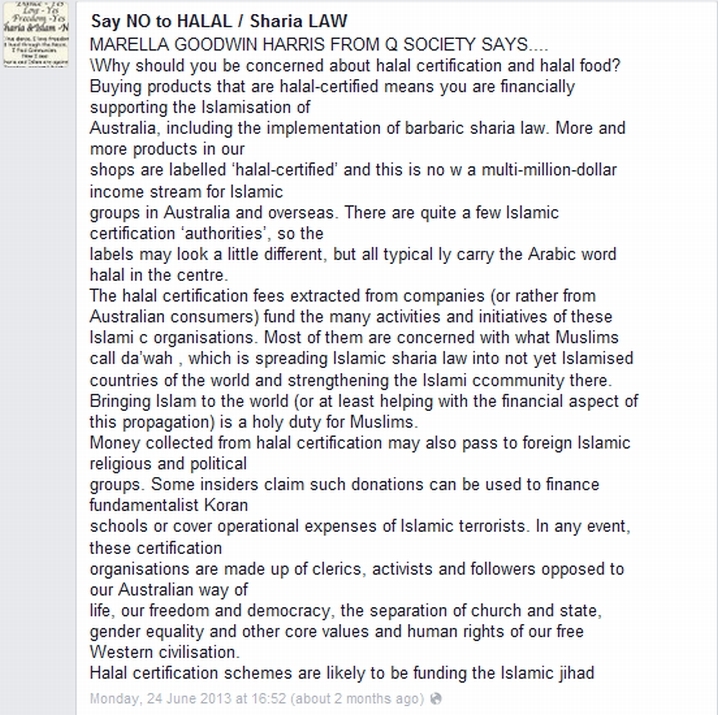 She is already a member of weirdo conspiracy theorist coven the Q Society and has a disturbing obsession with halal. And it does not really like anyone who is not like its members. Here she is on yet another forum protesting that someone has unfriended her after finding out about her obsessive xenophobia. We would think most sane people would be unfriending her too. Here’s a lovely shot of Marella fighting the good fight against those lethal hordes of Muslamic terrorist schoolkids watched by a handful of what we presume are locals. 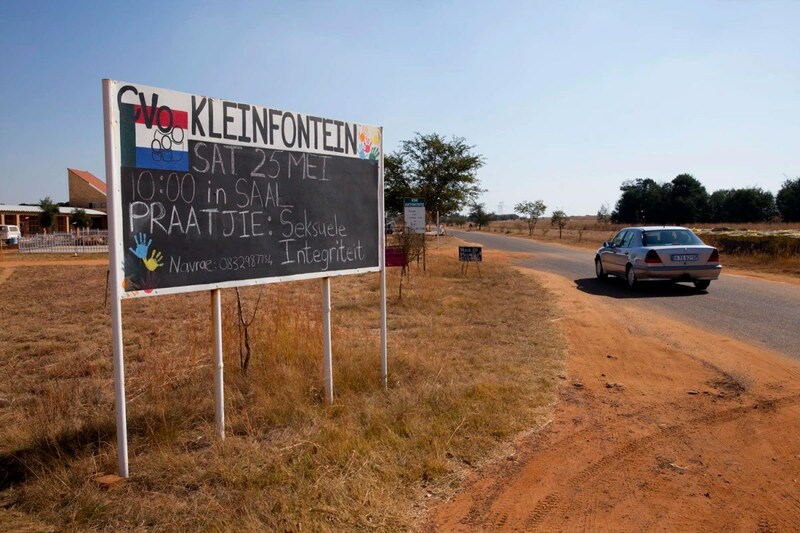 We are very familiar with Resident Action groups and can say that most of them are a good thing – an opportunity for locals to band together and to fight the encroachments of greedy developers and environmental vandals. We are not so sure about HPRAG. We find no evidence of any ongoing concerns from them for sustainable development or for the preservation of high conservation value areas in this fast-growing area of Sydney. So we are pretty much convinced that it is a front for Islamophobia. Want more evidence that it wasn’t “just about” development? We don’t have to spend much time talking about Geert Wilders. He is already an experienced self-publicist. He is also coming to Australia at the invitation of the shadowy mini group the Q Society. 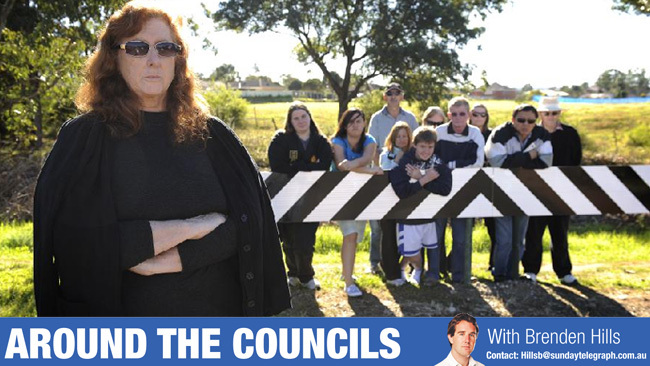 Among the activities of the Q Society was an apparently failed attempt to bully a suburban council in Melbourne who were allowing Muslims to use a Council-owned community centre for prayers. Anyway here’s a brief bio for those interested in international Fascism’s latest pin-up boy. And a Dutch fan has actually crafted a glamour shot. Meanwhile, supporters of Geert in Australia were somewhat taken aback when the proposed Sydney venue for the fash fest pulled out, obviously having second thoughts at the low quality of the expected participants. Well fan boys, there’s always Nicky’s pied-à-terre in Rozelle, which seems to be the regular venue of choice in Sydney for the far right to celebrate its irrelevance. Especially with someone as charismatic as their Geertjie. Meanwhile Australia’s own pet Eurofash Welf Herfurth pulls out. When not running a paintball business Welf can be found with a fistful of yoof called the National Anarchist Movement – best known for contradicting itself in the first two words of its name. 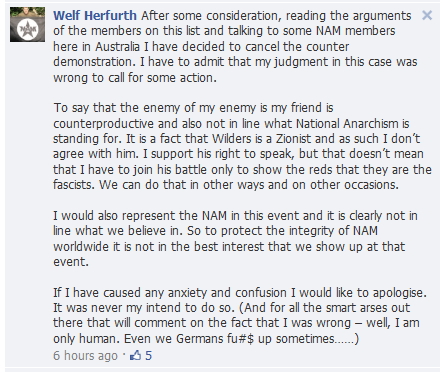 Nice to see Welf wants to protect his lads from “teh_Zionists”. Looks like it isn’t just the other fash who are keeping Geertje at arm’s length. Fake soldat Sargent KoranFlusher is devastated by the refusal of those beastly function centres to play host to a foreign fringe politician and his fan club of kooks, haters and wacko conspiracy theorists patriots, as reported by Farts of Jihad’s Werner Reimann. Update : Fairfax has an article on Wilders’ tour titled ‘White supremacists ready for fight’ (Natalie O’Brien, The Age, February 2, 2013). It refers, inter alia, to the ‘Australian New Nation’ website — established several years ago in order to replace the White Pride Coalition of Australia site — and the Internet radio show ‘Australia Calling’. ‘Australia Calling’ is produced by Brisbane nazi Carl D Thompson, who briefly came to public attention some years ago when he lost his job editing the One Nation newspaper after publishing some anti-Semitic material. Muslim-hating Dutch rightist Geert Wilders is gonna be touring Down Under in a few weeks. 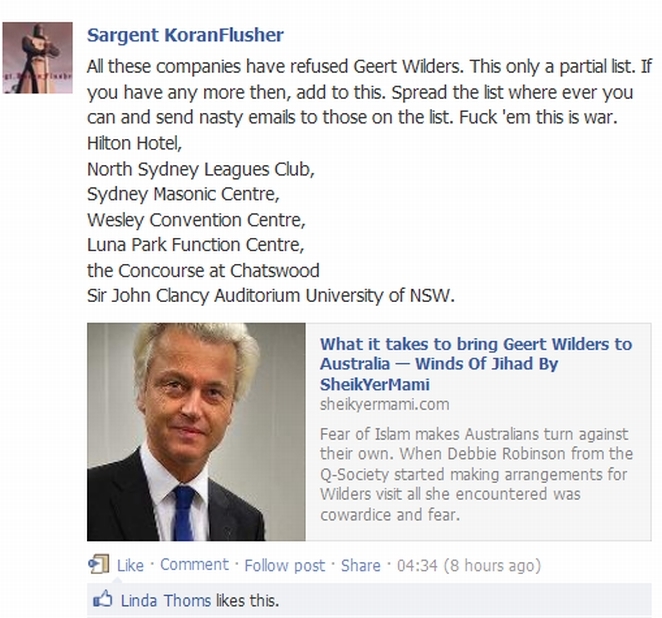 The Flying Dutchman’s tour is being organised by an anti-Islamic group known as the Q Society, and Wilders is scheduled to speak in Melbourne on the 19th, Perth on the 20th and Sydney on the 22nd of February, with the venues only being announced a day or two prior. * Unsurprisingly, having already roused controversy, Wilder’s tour is expected to generate some opposition, but also a good deal of support, especially among the far-right fringe. To that end, a number of individuals drawn from racist and fascist groups will be attending Wilder’s events :– some ostensibly in order to protect them from disruption. Or were . . . Within 48 hours of declaring that it was the sacred duty of White racialists to attend Wilder’s event in Sydney — largely in order to show the dastardly Reds who’s boss — Welf Herfurth — the leader of the minuscule forces of the New Right (NR) in Australia — changed his mind, and declared it to be a positively dreadful idea, one which risked aligning the NR with Zionists (ergo Jews). Well, kinda . . . 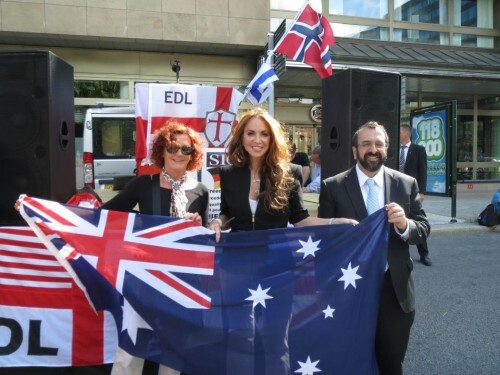 Note that Herfurth’s mob last reared its head in Sydney back in November, when police provided them a platform at a Palestine solidarity rally; Herfurth himself is a Holocaust denialist and strong supporter of his kamerad Uncle Fred Toben. Of course, support for Wilder’s message also extends deep into the conservative heartland, and includes prominent Muslim-baiters in the Tory party as well as handsomely-paid hacks in the corporate and state media. 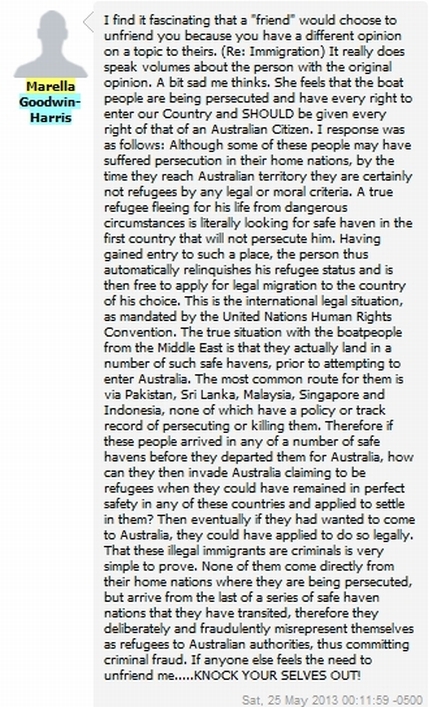 Further, the conservative embrace/promotion of paranoid fears over Muslamics has stolen a good deal of oxygen from a number of racist, right-wing fringe-dwellers, including Anders Breivik’s friends in the Australian Protectionist Party (APP). Just five short years after its foundation as a more ‘moderate’, less anti-Semitic version of the Australia First Party (AF), the APP has undergone its first major crisis, with the entirety of its Sydney branch decamping in order to establish yet another marginal bunch of kooks, this time modelled on Wilder’s Freedom Party (the APP modelled itself on the BNP). Whether or not the handful who spat the dummy can actually assemble another party remains to be seen, but given that they were the only active members the APP possessed the Protectionists seem doomed to disappear back into oblivion. Andrew Phillips, APP National Chairman, has relocated himself and his PO Box to Tasmania, while the party continues to nominate two others as contacts for NSW and VIC. Having lost perennial losers Darrin Hodges and Nicholas Hunter-Folkes, Phillips is now begging someone — anyone — to nominate themselves to undergo the humiliation of losing another popularity contest. Those interested can write to P.O. Box 170, Dover, Tasmania 7117 (which also functions as the postal address of Meals On Wheels in that part of the world). *According to Q, “Details will be advised to paid-up patrons 48 hours prior to event. Expect a function centre within easy reach of the CBD. Photo ID is required to enter; only one small handbag per patron permitted into the venue.” Paul Sheehan writes for the defence here and you can read more about the Q Society on their webshite. 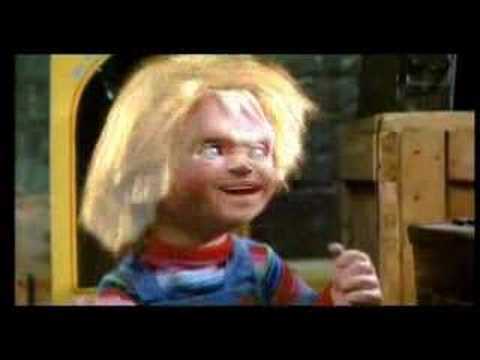 More on Geert’s tour later maybe . . .